One of the signature dishes at Lime Wood's Hartnett, Holder & Co, this classic agnolotti recipe was inspired by Luke Holder's time in Tuscany. "I've always loved Tuscany," he explains. 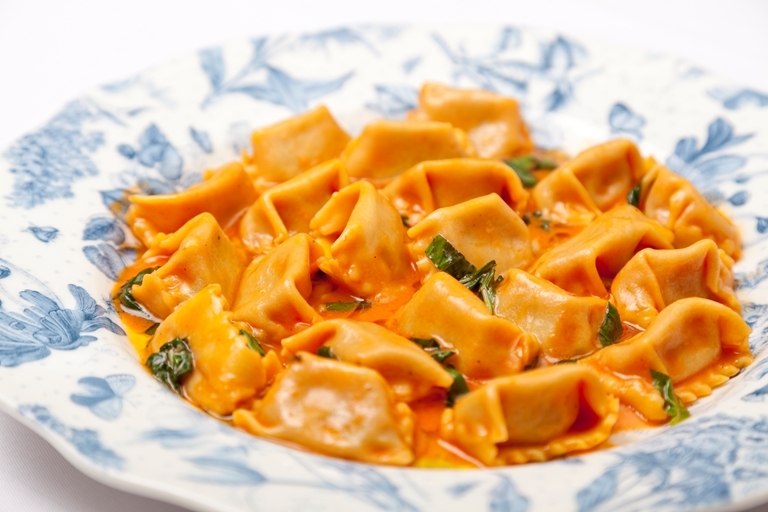 "Working and travelling there throughout my career has played a huge part in influencing the menu and providing inspiration behind the dishes at Hartnett Holder & Co. We actually call the Agnolotti (fresh egg based pasta) a rich man's pasta as it is a more refined version of ravioli from the Piemonte region".